P>In the Digital Masters series, New Riders takes pride in being an innovator in graphics publishing by sharing with the reader a passion for the science and for the art of computer graphics. Bert Monroy: Photorealistic & Illustrator celebrates the reunion of art and science, along with individual artistic accomplishment. This book provides a forum for the master at the highest level to speak directly with his peers and followers about how he crafts his creations, and about why he makes the artistic and technique decisions that help develop his work. Bert Monroy conveys a personal seminar-based approach that is unique to his own techniques and talents. 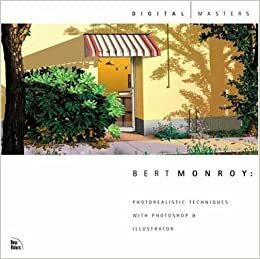 The body of this book reflects the areas of technical expertise and artistic exploration that are important to Bert and his audience.